Loadaza Auto Transport offers affordable commercial shipping for auctions, dealers and sellers. Our company handles transport efficiently, so you can focus on the moving parts in your business. Below, you’ll find our solutions for both commercial traders and auto auctioneers. 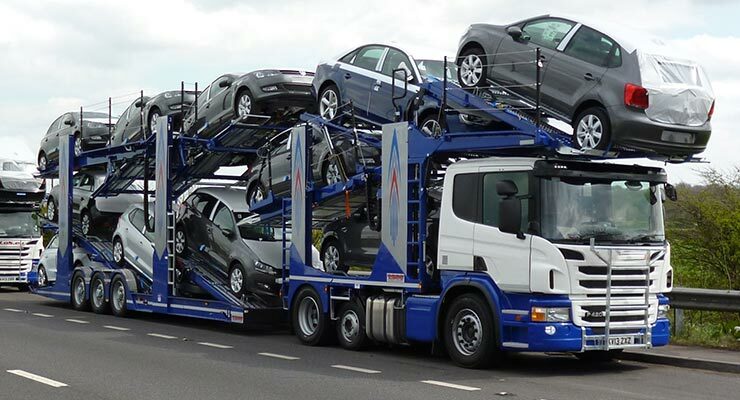 We are American car transporters who work closely with the automotive auction industry. Auctions only sell a few cars at a time, so it’s difficult to reliably transport them at a cost that’s affordable. There are also arbitration periods, and time for inspection. That’s why we work closely to establish the logistics for travel, with free quotes confirming everything before booking. Simply put, we are the most efficient solution for coordinating delivery from an auto auction. Dealers trade inventory frequently to keep lots fresh, and to sell cars that may be in higher demand at another location. Whether it’s across state lines, or 50 miles up the road, Loadaza Auto Transport offers a commercial shipping solution that will keep costs manageable. We specialize in door-to-door delivery service, and we work around your schedule. We work directly with American car transporters who are licensed and insured to handle heavy machinery, military car and so on. To coordinate your trade or auction delivery, contact the professionals at Loadaza Transport. Have questions about commercial shipping?